Visit Drukarnia on April 26th for a celebration of electronic music. 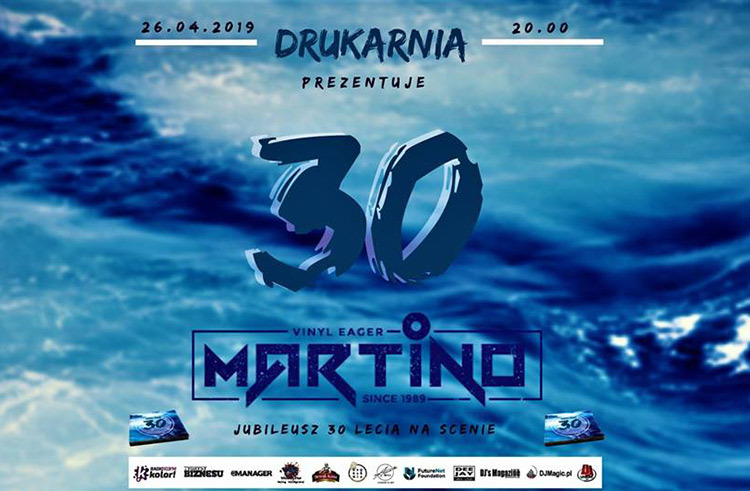 DJ Martino will present his double album, an overview of his 30-years in the music industry. Aside from his greatest hits and latest material, this live extravaganza will be accompanied by live piano, sax and bongos. Brace yourself, also, for performances from some of the biggest names on the TV and festival circuit such as: Ellis, Anita Sajnóg, Tiyah, William Prestigiacomo, Alan Cyprysiak, Michał Jabłoński, Noel Horta Sanchez and Ola Sędzilewska. Martino, meanwhile, will be supported by Bernard Drago. And get there early! The first 50 guests will receive an autographed copy of DJ Martino’s ‘30’ album.